If you think that you might NOT meet all the below requirements then prefer not to participate. 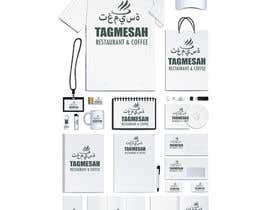 -	A complete Uniform (T-Shirts to be worn by men, waiters & kitchen cloths wear). -	Delivery Car Logo Design. -	Plastic & Paper Bags. -	Cups & Mugs with deferent colors, Glasses & Plates as well. -	Template for social media. 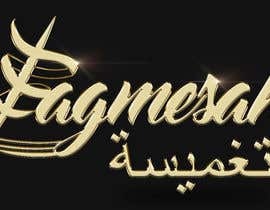 -	Banners designs to be used during the interior design. -	At least 5 choices of slogans to choose one of them to be link with the logo OR to be written in different places in the restaurant. -	different Merchandise and any items needed to have the logo in. 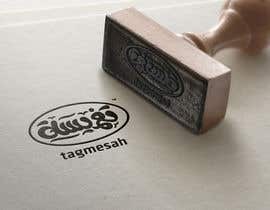 The require design & identity to be used for a Middle East Restaurant. We need to develop a strong visual brand for our business & would like the logo to convey that message as much as possible. 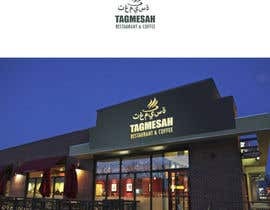 The restaurant mainly will provide Mediterranean food services such as (Falafel, Homos, Shawarma…etc) & coffee as well. 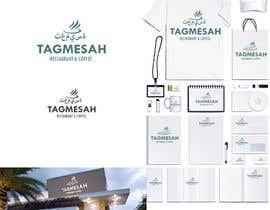 We would like you to create a Unique Logo for our restaurant which will be registered later on with our local ministry of commerce & investment as a unique logo . 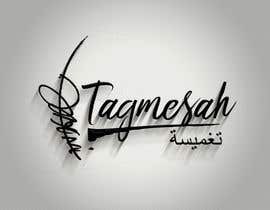 The Name of our business is “ TAGMESAH”, (تغميسة). 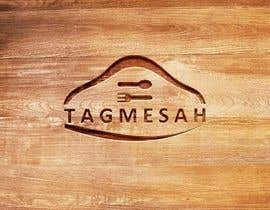 The meaning of the restaurant name (TAGMESAH) just to help on the designing or the concept: TAGMESAH means taking a piece of a bread and roll it from the back then dip it into the plate to get whatever in the plate to eat. Or let say piece of bread works instead of spoon. Come up with something creative. The logo should NOT be complicated & we prefer always the simplicity with luxury. The Logo can be modified into different sizes to be used in different places. The Logo must be versatile which can be used easily in Black & White, Wood & Glass whenever needed. The Logo can be easily used to convey the meaning intended and avoid tarnishing or misrepresenting the intended image. 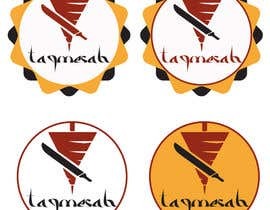 The logo can be easily used on small area with NO effect on the logo itself such as gifts (pens, flash memories….etc). Ensure that the logo works on darks background. Ensure that the logo is responsive & can be easily used on website & app if needed. In case; If there are any ways that the logo should not be used then make sure you specify them. The main reason is to ensure the appearance of the logo remains consistent. Once complete and awarded, we need the original artwork in vector format eg. Adobe Illustrator, PSD, JPEG and any other files so that we can manipulate individual aspects of the artwork, including changing individual piece colors. The final file (A style guide) should include & illustrate all possible colour options for the logo. It should include any Pantone colours used with a breakdown for CMYK and RGB. Also, to include: colour and mono logo designs on white, colour and mono on black and colour and mono on an image background. As well as, the used fonts (Avoid gimmicky fonts) keep the font choices classic and simple and avoid over-garnishing otherwise the final submission won’t be accepted. #increaseprize or use this price for logo, letterhead and business card.